Nicole Franz joined the Fisheries and Aquaculture Department of the Food and Agriculture Organization of the United Nations (FAO) as Fishery Planning Analyst in January 2011. Her work in the Policy, Economics and Institutions branch focuses on small-scale fisheries policies and socio-economic issues. 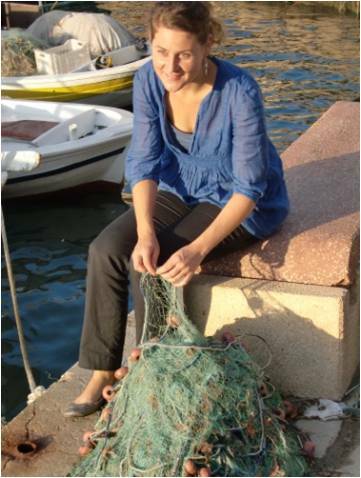 Prior to joining FAO, Nicole worked as Fisheries Policy Analyst in the OECD Fisheries Policies Division in Paris in 2009-10, focusing primarily on certification, aquaculture and OECD fisheries country profiles. Her engagement in small-scale fisheries started in 2003, when she worked as consultant for FAO and for the International Fund for Agricultural Development (IFAD), mainly on fisheries marketing and policy issues, including extensive field work in Namibia and in Indonesia. Nicole holds a degree in Economics and a Master in International Cooperation and Project Design of the University La Sapienza, Rome. NF: I am very proud to work mainly on the implementation of the Voluntary Guidelines for Securing Sustainable Small-Scale Fisheries in the Context of Food Security and Poverty Eradication (SSF Guidelines). After having contributed to the development process of this international consensus document since 2011, it is now both challenging and exciting to work with many partners to bring the important principles of the SSF Guidelines to life - at the regional, national and local level. NF:The SSF Guidelines take a human rights based approach. The realization of rights allows small-scale fisheries actors to fully assume their roles and responsibilities as resource stewards and contributors to food security and poverty eradication – rather than being passive receivers of support. This requires an enabling environment based on participation, accountability, non-discrimination, transparency, human dignity, empowerment and rule of law.